This young man saved us all from being randomly chosen by these beautiful maori girls at Port Aventura Amusement Park in Salou, Spain. 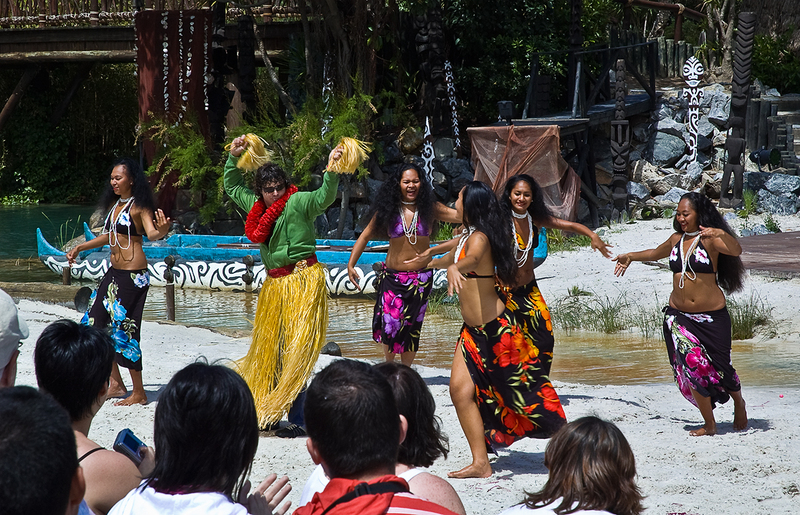 I mean, who hasn't dreamed of being on a desert island, surrounded by maori girls and all...but that doesn't mean you have to dress like a scarecrow for the joy of the crowd. Tourists!!! As I corrected myself thanks to a friend's suggestion, these are Polinesian. It was a big mistake of mine and I forgot there was also this post. Thanks for your help.